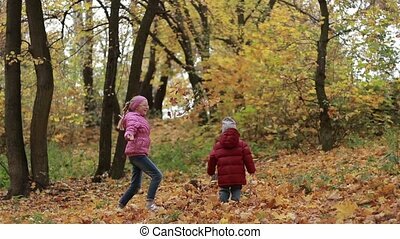 Cute little brother and sister playing in the autumn park, girl throws on boy yellow fallen leaves 4k. 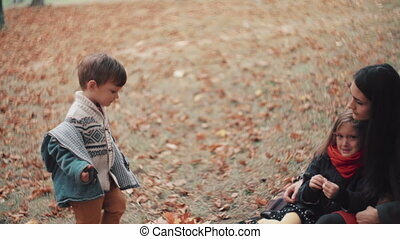 Little brother and sister playing in the autumn park, girl throws on boy yellow fallen leaves 4k. Carefree teenage girl and her cute toddler brother in colorful clothes playing with yellow fallen maple leaves in autumn park. Happy siblings having fun in autumn forest in warm fall day. 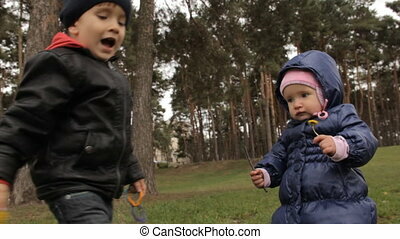 Brother and sister throwing leaves in park in indian summer. 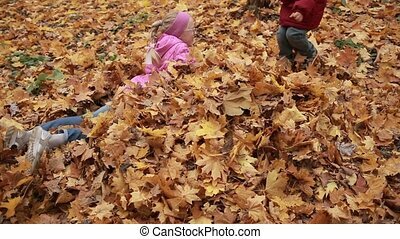 Overjoyed smiling siblings throwing yellow fallen maple leaves while playing together in pile of foliage in autumn park. 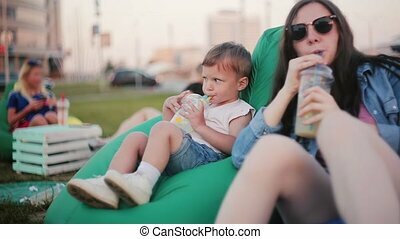 Carefree cute teenage girl in eyeglasses and her toddler brother having fun outdoors in fall time. Slow motion. 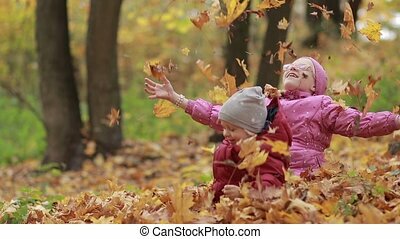 Beautiful joyful siblings jumping in a pile of fallen leaves in autumn park. 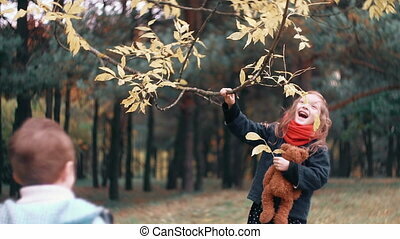 Cute teenage girl and her toddler brother playing with yellow foliage outdoors. Kids enjoying leisure on a warm fall day. Slow motion. 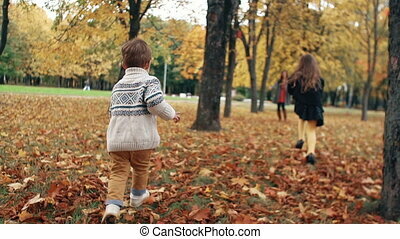 Cute toddler boy and his teenage sister holding hands and running through colorful autumn park. Back view. 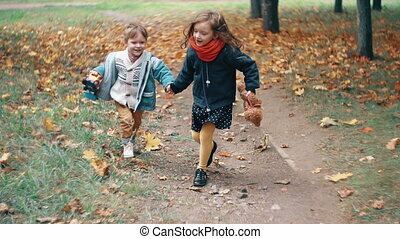 Joyful siblings playing and running on park walkway in indian summer over golden fall background. Steadicam stabilized shot. Slow motion. 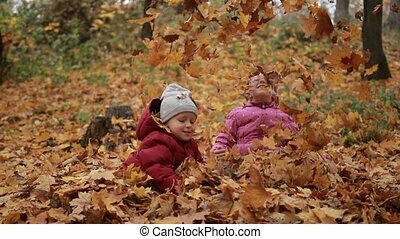 Smiling cute toddler boy in warm clothes and his attractive teenage sister in eyeglasses jumping in large pile of autumn leaves in the park. 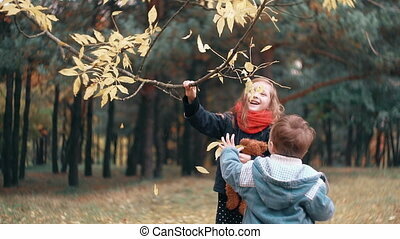 Joyful kids playing with yellow fallen leaves, throwing them up into the air on a warm fall day. Slow motion. 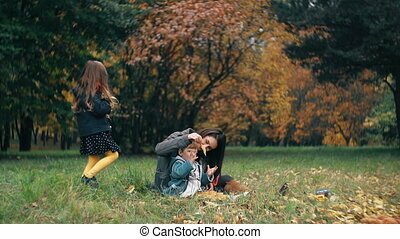 Laughing siblings throwing yellow maple leaves up in autumn park. 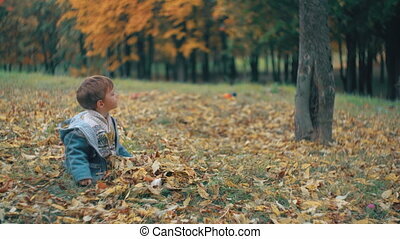 Cute toddler boy and teenage sister sitting in pile of fall foliage and playing with autumn leaves outdoors. Joyful kids resting in autumn park. Slow motion. 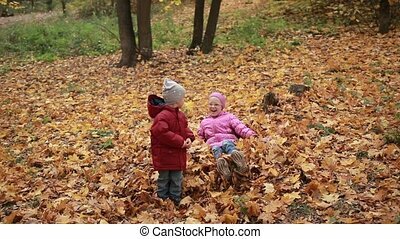 Two smiling siblings lying on their bellies in a pile of fallen autumn leaves, throwing them up in the air in public park. 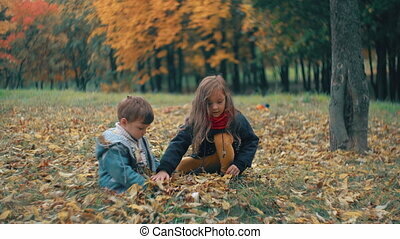 Cute toddler boy and his teenage sister having fun and playing with yellow and orange foliage outdoors in autumn time. 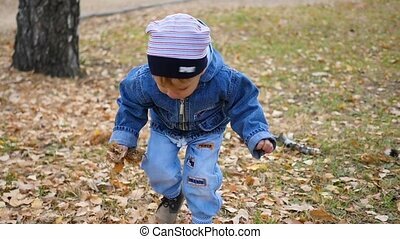 happy funny cute brother and sister a little boy and girl runs to his mother over fallen leaves through the amazing golden autumn alley in the park slow motion. 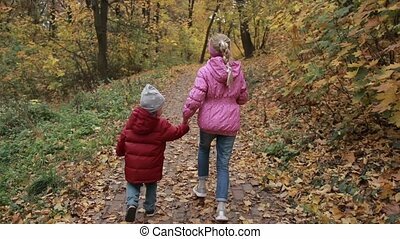 happy funny cute brother and sister a little boy and girl running holding hands with their toys teddy bear and a toy car over fallen leaves through the amazing golden autumn alley in park slow motion. 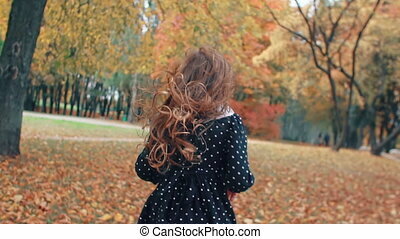 happy funny cute little girl runs to her mother and brother over fallen leaves through the amazing golden autumn alley in the park slow motion. Cute little boy before the doctor reception. Girl kisses brother, sister supports him. Male sitting in dentist chair, waiting the orthodontist before the dental check-up. 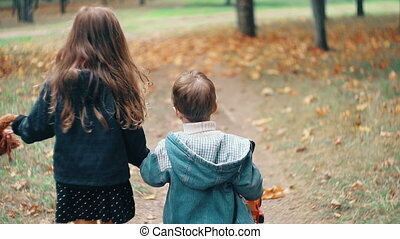 back view happy funny cute brother and sister a little boy and girl running holding hands with their toys teddy bear and toy car through the amazing golden autumn alley in park slow motion. 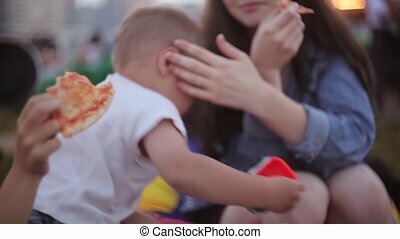 mother comforts her crying child, a little girl, her brother, a little boy comes to her, hugging and regret. Family in autumn park. Two girls and little boy sisters and brother having rest at the park. 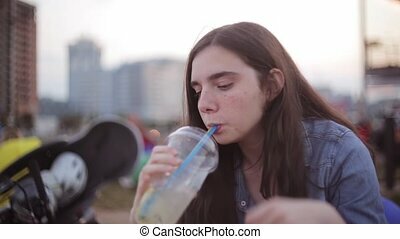 Young beautiful lady with freckles drinking from plastic glass with colored straws. Boy beats his foot a glass. 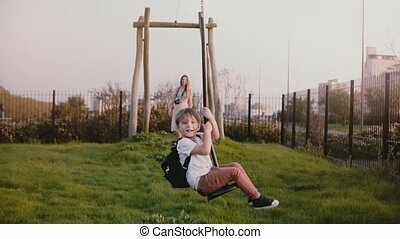 Little European boy on a city park zipline. Excited happy male kid rides long zip wire smiling. Front view. Childhood. Family vacation together. Mother, brother and sister on playground. Togetherness.